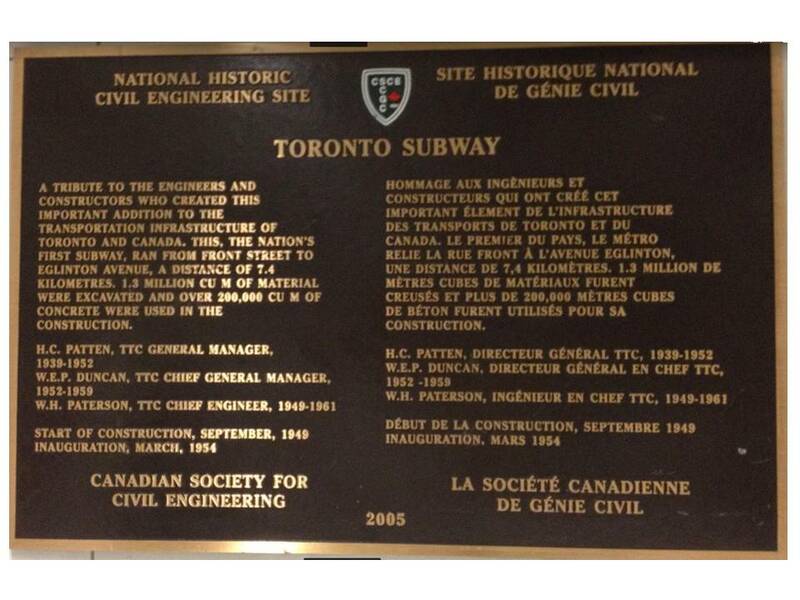 The first proposal for a subway system in Toronto was in 1908 with three lines (one along Yonge, another along Bloor, and a third line along Queen) and was to be operated by the Toronto Railway Company, but was rejected in 1910. 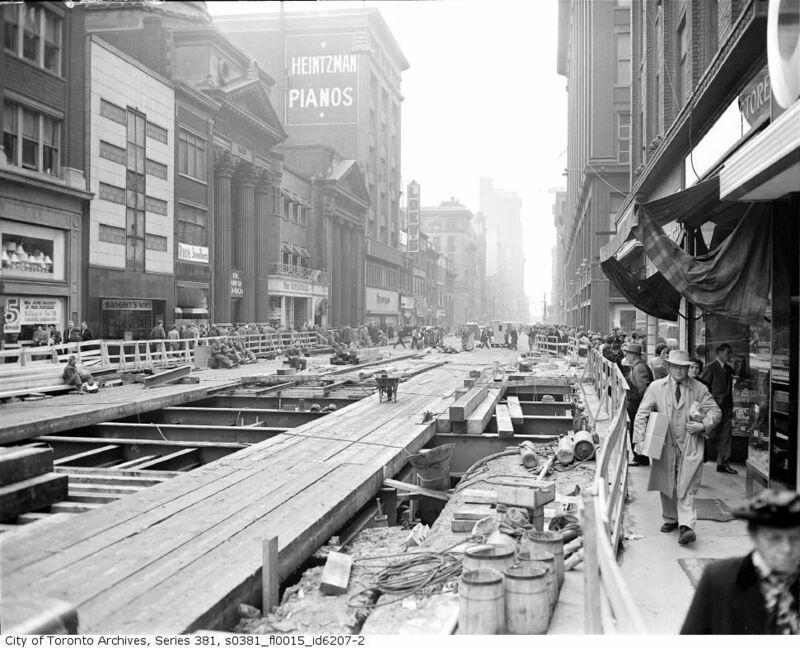 In 1963 an extension was added, curving north from Union station, below University Avenue and Queen’s Park to near Bloor Street, where it turned west to terminate at St. George and Bloor Streets. The Bloor-Danforth Line opened in 1966 along Bloor Street and Danforth Avenue from Keele Street to Woodbine Avenue, and was extended in 1968 to run from Islington Avenue to Warden Station at Warden and St. Clair Avenues. The routing of the line across the Don Valley was possible thanks to a decision made more than forty years earlier. When the Prince Edward Viaduct, another CSCE National Historic Civil Engineering Site was built in 1918, its designer insisted on providing for twin decks below the roadway to allow for future rail traffic. The Yonge-University line was extended north 8.7 km (5.4 mi) from Eglinton Avenue to Finch Avenue and Yonge in 1973 and 1974. A further 9.9 km (6.2 mi) was added to the Yonge-University Line in 1978 when it was extended from St. George and Bloor, running north and northwest to Eglinton Avenue and Allen Road, then north along the median of the Allen Road to Wilson Avenue. The subway’s newest line, Sheppard, opened in 2002. It runs 5.5 km (3.4 mi) east, underneath Sheppard Avenue from Sheppard station on the Yonge line, to Don Mills station at Sheppard and Don Mills Road.